“On the palate the taste is a gentle kind of raspberry, not overpowering, which is definitely a good thing”. We couldn’t agree more with The Vodka Guy’s review on Van Gogh Raspberry . Our all-natural double infusion process distills real raspberries into each batch, giving the vodka a subtly sweet and vibrant flavor. 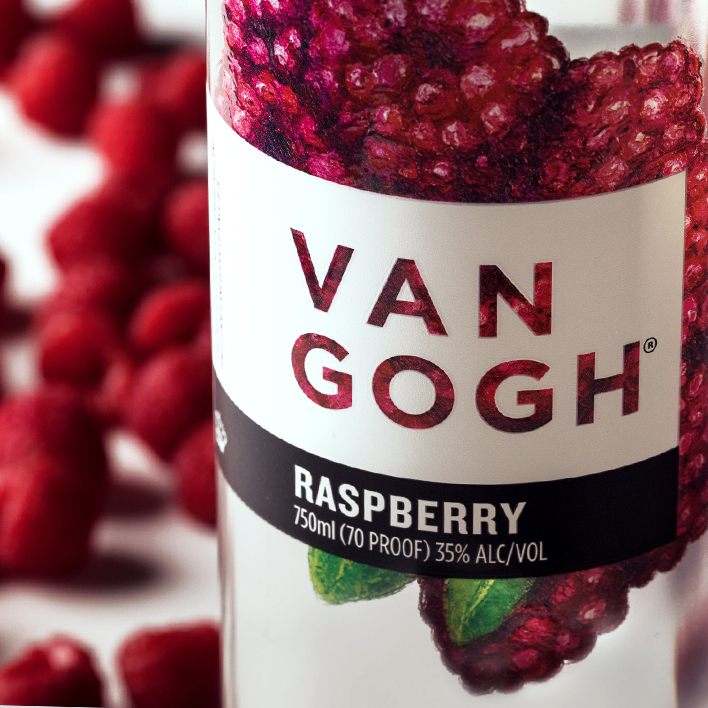 With an additional hint of blackcurrant, Van Gogh Raspberry delivers an exceptionally smooth finish with excellent depth.